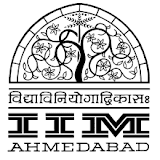 IIM Ahmedabad has published Advertisement for below mentioned Posts 2019. Other details like age limit, educational qualification, selection process, application fee and how to apply are given below in the advertisement. Age Limit: Maximum 55 years as on the last date of application. Salary & Allowances: Selected candidate will be offered a fixed term appointment initially for a period of three years on a consolidated monthly salary on CTC mode. The contract may be extended further as per the mutual convenience. The person working in Government/PSU/Autonomous Body in similar function may be taken on deputation.